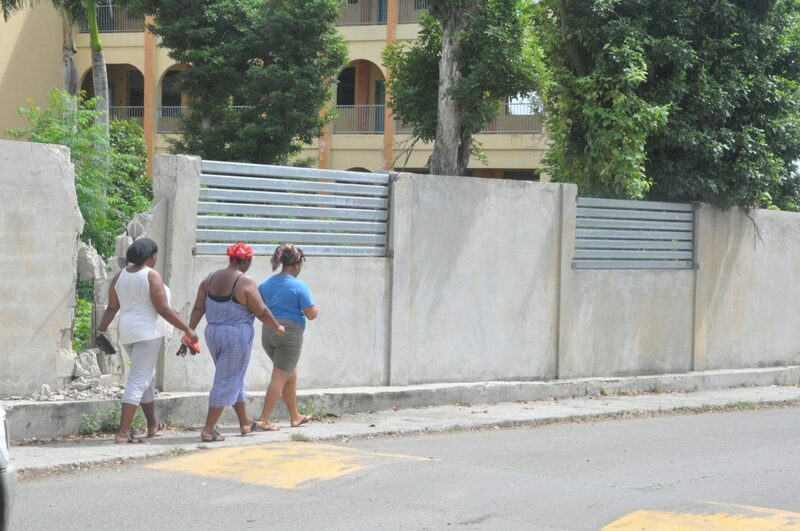 Police have launched a formal investigation into the construction of the incomplete perimeter wall around Elmore Stoutt High School, a project spearheaded in 2014 and 2015 by National Democratic Party Chairman Myron Walwyn when he served as minister of education and culture. A report from the Office of the Auditor General last year alleged that the project — which was split up into more than 70 work orders and 15 petty contract — violated the Public Finance Management Regulations, was potentially open to “inappropriate political influence into the procurement process,” overspent, and likely failed to attain good value for taxpayers’ money. Governor Gus Jaspert said in December that he had turned the report over to the police, who have now launched a probe. “We can confirm that we are in the very early stages of a formal investigation into the matter,” Police Information Officer Diane Drayton stated in an email this week. In December, Mr. Jaspert also said that the police, the Ministry of Finance and the Deputy Governor’s Office would be “dealing with the recommendations” made in the audit. The report recommends that a single contractor complete all of the remaining work on the ESHS perimeter wall. It also states that individuals responsible for the “over costing and loss of economy” on the project should be held accountable. Attempts to reach Mr. Walwyn this week were not immediately successful, but he has vigorously defended the project in recent months and criticised the audit report and Auditor General Sonia Webster.